INTER-CITY TESTING & CONSULTING CORPORATION is close to 40 years as a provider of Forensic Engineering, Consulting and Expert Testimony to thousands of Law Offices, Insurance Companies and Government Agencies. Our qualified teams of Engineers and Scientists, covering hundreds of areas of expertise, are available to assist you in technical evaluations, scientific analysis, testimony and preparation of cases for trial. Additional experts are available when more than one specialty is required. We also provide constant case and project management to help expedite the needs of your litigation in a timely manner. 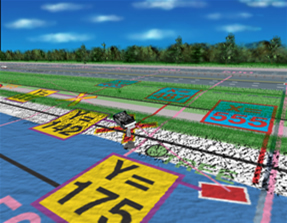 INTER-CITY TESTING & CONSULTING CORPORATION provides full support for analyses including video animations, total station analysis, and EDR "Black Box" downloads and interpretations. INTER-CITY TESTING & CONSULTING CORPORATION also offers videoteleconferencing, certified videographic services, and notary services.